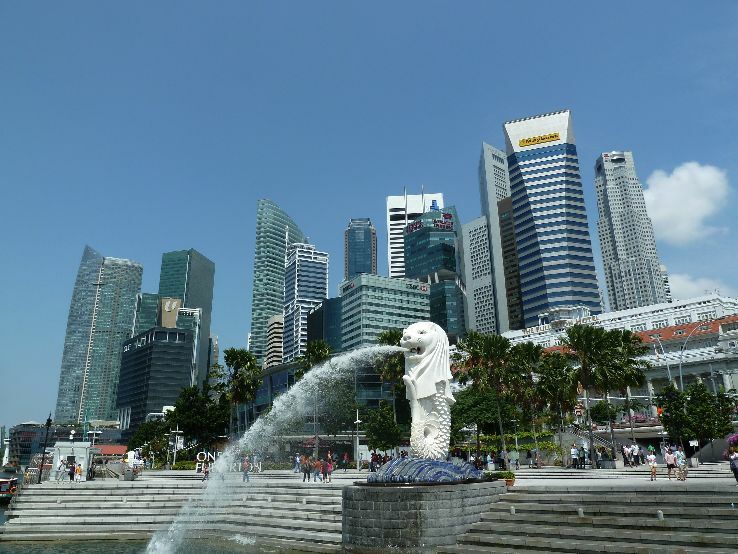 Merlion Park is one of the major attractions for tourists, located at One Fullerton, Singapore. 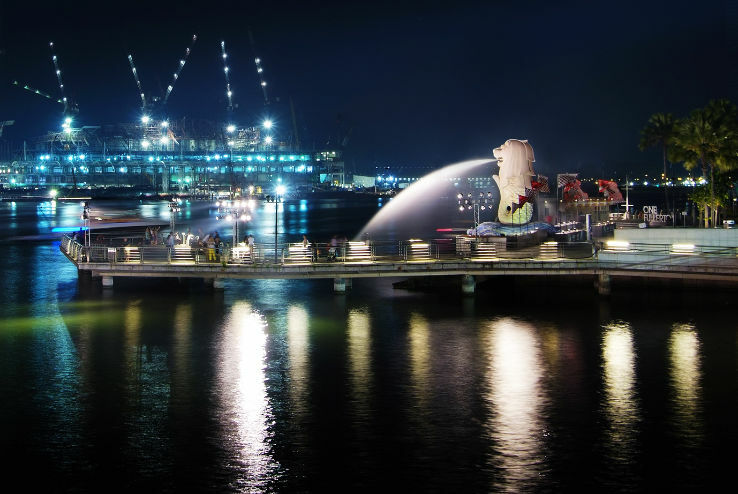 The Merlion is a mythical creature with a lion's head and the body of a fish that is widely used as a mascot and national personification of Singapore. 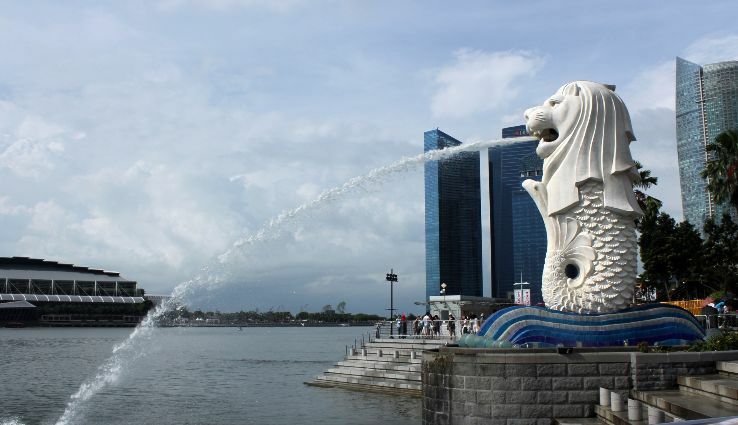 There are two statues in the park the original one structure is measures 8.6 meters tall and sprouts water from its mouth the other one is located near the original one and just measures just 2meter tall. 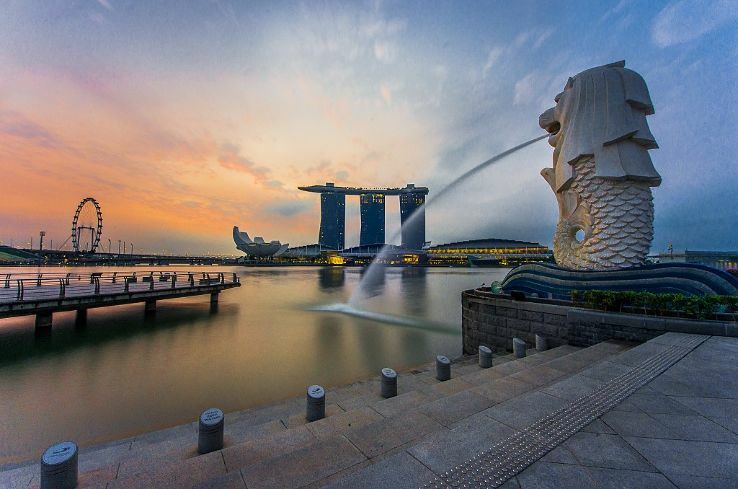 In 1964 the park was designed and on 15 September 1972, the park was officially opened at an installation ceremony for the statue, officiated at by then Prime Minister of Singapore, Mr. Lee Kuan yew. 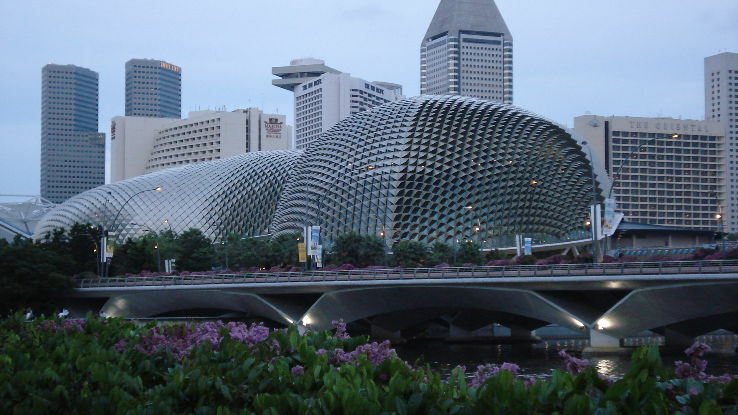 You will see some amazing monument, sculptor, and serenity of Singaporean people.